Megan Sandel is a Boston pediatrician and an associate professor of pediatrics at the Boston University Schools of Medicine and Public Health. She is also associate director of the Grow Clinic at Boston Medical Center and a principal investigator with Children’s Health Watch. Sandel is a former pediatric medical director of the Boston Healthcare for the Homeless program and is a national expert on housing and child health. In 1998, she and other doctors at Boston Medical Center published the “DOC4Kids” report on how housing affects child health. Sandel has written numerous peer-reviewed scientific articles and papers on this subject. In 2001, she became the first medical director of Medical-Legal Partnership Boston, and from 2007 to 2016, she served as medical director of the National Center for Medical-Legal Partnership. Sandel has served as a principal investigator for numerous grants, working with the Boston Public Health Commission and Massachusetts Department of Public Health to improve the health of vulnerable children, particularly those with asthma. She has served on many national boards advisory committees. She received her medical degree from Geisel School of Medicine at Dartmouth College. She also received a master’s in public health from Boston University and a Bachelor of Science from Yale University. David J. Erickson, is director of community development at the Federal Reserve Bank of San Francisco and serves as community development officer for the Federal Reserve’s Twelfth District. In this role, he leads the community development team toward its mission of advancing economic opportunity for lower-income Americans. Erickson launched and now advises the Federal Reserve journal Community Development Investment Review and previously served as research manager for the Center for Community Development Investments, where he fostered initiatives exploring innovative community development financing models and greater intersections with the health, arts and environmental sectors to identify new investible opportunities that benefit lower-income communities. He led a collaboration between the Federal Reserve and the Robert Wood Johnson Foundation to bring together the health and community development fields. To date, this partnership has resulted in over 26 conferences around the country and numerous publications, including a cluster of articles in Health Affairs in November 2011. Erickson’s book on the history of community development, The Housing Policy Revolution: Networks and Neighborhoods, was published in 2009 by the Urban Institute Press. He also co-edited Investing in What Works for America’s Communities: Essays on People, Place and Purpose (2012), What Counts: Harnessing Data for America’s Communities (2014) and What It’s Worth: Strengthening the Financial Future of Families, Communities and the Nation (2015). In addition to Health Affairs, he has had articles published in Pediatrics and the Journal of Policy History. Erickson has a PhD in history from the University of California, Berkeley, with a focus on economic history and public policy. He also holds a master’s degree in public policy from Berkeley and an undergraduate degree from Dartmouth College. Ruth Ann Norton serves as president and CEO of the Green and Healthy Homes Initiative, a national nonprofit founded in 1986 dedicated to the elimination of childhood lead poisoning and the creation of healthy, safe and energy-efficient housing. She broadened the mission of the organization, formerly the Coalition to End Childhood Lead Poisoning, by designing an innovative national program built on cross-sector collaboration. The organization operates in 25 cities and counties. A national expert on healthy housing, Norton has authored over 30 pieces of successful healthy-housing legislation. She moved her organization into the “social impact bond/pay for success” field to advance health-based housing and demonstrate the outcomes of evidence-based practices. Norton also led efforts to reduce childhood lead poisoning by 98 percent in Maryland. She developed and implemented one of the nation’s first healthy-homes programs to address the multiple environmental health and safety hazards in low-income housing. Norton served as a federally appointed liaison to the Centers for Disease Control’s Advisory Committee on Childhood Lead Poisoning Prevention and was a panel member for the Department of Housing and Urban Development’s Healthy Homes Guidance Manual. She serves on the board of directors of Groundswell and is on the executive committee of the Maryland Asthma Control Council. Norton is a Weinberg Foundation Fellow. She was named the Robert Wood Johnson Foundation Community Health Leader in 2005 and was recognized as one of Maryland’s Top 100 Women by The Daily Record. In 2016, she received the Tony Woods Award from the Building Performance Industry. She received her BA in economics and French from the University of North Carolina at Chapel Hill. Sister Susan Vickers is a Sister of Mercy and vice president of corporate responsibility for Dignity Health. She is responsible for directing and overseeing corporate social responsibility and sustainability programs for the health care system. In conjunction with her corporate responsibility work, Vickers directs Dignity Health’s shareholder initiatives to raise social responsibility issues with the management of companies in Dignity Health’s investment portfolio. She took a leadership role in developing Dignity Health’s systemwide commitment to improved environmental performance. Vickers serves as board member of Practice Greenhealth, Health Care Without Harm and Mercy Investment Services. Steve Adler was elected Austin’s 52nd mayor in December 2014. He practiced civil rights law for many years and founded a successful eminent-domain law practice representing landowners. He also served nearly 10 years as chief of staff and general counsel for Texas State Sen. Eliot Shapleigh, working primarily on school finance, equity and access issues. Adler has been deeply involved with, and has chaired, many Austin civic and nonprofit institutions over the past 20 years. He and his brother were the first in the family to graduate from college. After completing his undergraduate studies at Princeton University, Adler moved to Austin to work his way through law school at the University of Texas. Elizabeth Sobel Blum leads the Dallas Fed’s work in the field of “healthy communities,”—communities that, along with their residents, are vibrant and thrive and show resilience. Through research, publications, events and coalition building, she helps advance discussion about creating and supporting healthy opportunities for all. Sobel Blum’s areas of focus include community development finance, health, housing, small business and entrepreneurship, and workforce development. She serves on the boards of ChangeLab Solutions and First3Years. In May 2014, she completed the Steps Toward Academic Research (STAR) Fellowship Program, which is run by the University of North Texas Health Science Center’s Texas Center for Health Disparities, a National Institutes of Health-designated Center for Excellence. From January 2013 through December 2014, she chaired the health science center’s community advisory board. Sobel Blum earned an MBA from the University of Texas at Dallas, an MA from American University and a BA from Northwestern University. Keegan Warren-Clem is a practicing attorney in Texas and the founding attorney of Austin Medical-Legal Partnership (AMLP) at People’s Community Clinic. Through AMLP, she works collaboratively with health care providers to improve health outcomes through legal assistance for patients and legal education for both patients and providers. Warren-Clem also challenges local pediatric residents to explore connections between health, poverty and unmet legal needs as part of the community pediatrics rotation. She frequently speaks and writes on the Affordable Care Act, medical privacy and public health law. Complementing recent publications on public health law and policy, Warren-Clem‘s current research is in empirical health law studies, focusing on data analytics and a novel adaptation of population health norms for attorney use. She is a member of the State Bar College, an honorary society of lawyers. Warren-Clem earned her LLM in health law and policy as Southern Illinois Healthcare/Southern Illinois University’s inaugural Medical-Legal Partnership LLM Fellow. She received her JD from the University of Texas and her BA from the University of Arkansas. John-Michael Cortez serves as a special assistant to Austin Mayor Steve Adler and advises the mayor on a range of issues, including transportation and land use. Cortez previously consulted at an Austin-based business development firm, co-founded and ran a local small business in the construction industry, served as outreach director for U.S. Congressman Lloyd Doggett and managed the community involvement team for Capital Metropolitan Transportation Authority. Cortez serves on advisory councils for the Sustainable Food Center, Junior League of Austin and University of Texas at Austin’s diversity and community engagement division and on the board of the Center for Public Policy Priorities. He was elected in 2009 to the board of trustees of the Austin Community College District and served as board secretary in 2010–12. He is a past president of the Rotary Club of East Austin and Greater Austin Hispanic Chamber of Commerce Education Foundation and is a founding member of FuturoFund Austin. Cortez earned a BBA in international business and an MS in community and regional planning from UT Austin. He is a graduate of the Hispanic Austin Leadership program and Leadership Austin Essential Program and was named a fellow of the Next Generation Project Texas at the Robert S. Strauss Center for International Security and Law at UT. Catherine Crago Blanton is head of strategic initiatives and resource development for the Housing Authority of the city of Austin and its nonprofit subsidiary Austin Pathways. She started her career in the semiconductor industry, focused on public–private research partnerships aimed at giving the U.S. a global competitive advantage. Crago Blanton played an active role in building the Unlocking the Connection program, an initiative to bring internet connectivity and know-how to every public housing authority resident. For more than 10 years, Crago Blanton helped state agencies and local governments assess the business case for digital inclusion to enhance revenue, support emergency preparedness and promote equity in diverse communities. Previously, she was a senior manager at Andersen Consulting. Crago Blanton has presented at the White House and has provided testimony to the Federal Communications Commission on the impact of connectivity in low-income populations. She serves on the board of advisors and lectures in the University of Texas at Austin’s graduate program in the human dimensions of organizations and serves on the advisory boards of the SXSW Interactive Festival and GlobalAustin. She is a recipient of the Texas Diversity Council’s DiversityFIRST award. Crago Blanton holds a BA in history from UT and has lived and worked in Belgium, the Netherlands, Korea and Taiwan.is the head of Strategic Initiatives and Resource Development, Housing Authority of the City of Austin and Austin Pathways. She started her career in the semiconductor industry, focused on public private research partnerships aimed at giving the U.S. a global competitive advantage. Catherine played an active role in building the Unlocking the Connection program, a first-of-its-kind initiative to bring Internet connectivity and know-how to every public housing authority resident. The program was the inspiration for the White House – HUD initiative called ConnectHome. For more than 10 years, Catherine helped state agencies and local governments assess the business case for digital inclusion, to enhance revenue, support emergency preparedness and to promote equity in diverse communities. She has consulted with consortia about how digital tools and practices can “level the playing field” for all investors, and with corporations about how to use digital tools to manage distributed engineering teams in diverse locations. Previously, she was a senior manager at Andersen Consulting. Rebecca Giello has been assistant director for the city of Austin’s Housing and Community Development office since April 2011 and oversees a number of areas, including real estate services, finance and planning, policy and outreach. Giello’s career with the city spans almost 20 years. She previously served in the city manager’s office and in corporate communications as the corporate public information manager over media relations. Prior to her appointment as assistant director, Giello was the city’s housing policy and planning manager. She also worked in property management for numerous multifamily properties in San Marcos, Texas. Giello holds two degrees from Texas State University, a bachelor’s in mass communication and a Master of Public Administration. 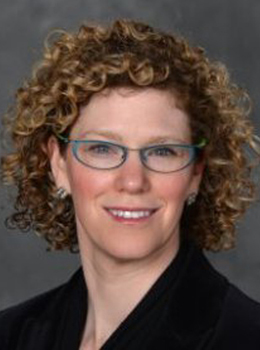 Sherri R. Greenberg is a clinical professor and fellow of the Max Sherman Chair in State and Local Government at the LBJ School of Public Affairs at UT Austin. She is also a senior advisor to Austin Mayor Steve Adler and serves on the board of managers of Central Health and on the city’s housing bond review committee. Greenberg was a Texas state representative from 1991 to 2001. Previously, she was the city of Austin’s capital finance manager and a public finance officer at Standard & Poor’s. She holds an MSc in public administration and policy from the London School of Economics and a BA in government from UT Austin. She serves on the national board for the American Society for Public Administration and is a Section on Women in Public Administration and CenTex chapter board member. Tara Greendyk is a general pediatrician and faculty member with UT Austin’s Dell Medical School pediatric residency program. She also supervises pediatric residents at East Austin Community Care Clinic and provides care for a largely underinsured and uninsured population of children and adolescents. As a practicing pediatrician, Greendyk has committed herself to focusing on community health, building resiliency in her patients and families, and supporting optimal early brain and childhood development. Greendyk obtained her MD from Rutgers University–New Jersey Medical School and completed her general pediatrics residency training at New York–Presbyterian Hospital/Weill Cornell Medical Center in New York City. She relocated to Austin in 2009. Stephanie Y. Hayden was appointed deputy director of the Austin/Travis County Health and Human Services Department in October 2015. She oversees the operations of the Health Equity Initiative, which includes the quality of life, maternal infant outreach and health equity programs. She also oversees the areas of accreditation, planning and evaluation, social services policy and HIV resources administration. Hayden is a licensed master-level social worker. She has spent the past 19 years working in the field of social services, with 17 of those in management. She has worked in several direct social work settings including psychiatric services, school based, chemical dependency, crisis intervention and counseling. Hayden also served as assistant director of the department’s community services division, where she managed several human services programs. She previously worked for the Austin Independent School District as director of clinical services and for the state of Texas as assistant director at the Williamson County Mental Health Center. Hayden holds a BA in social work from Prairie A&M University and an MA in social work from the Worden School of Social Services at Our Lady of the Lake University. She has been a licensed social worker for 17 years. She is certified as a youth program quality assessor and youth work management training consultant. Julian Huerta is deputy executive director of Foundation Communities, Austin’s largest nonprofit provider of affordable housing with supportive services. Huerta develops and directs health, education and financial capability programs that serve more than 30,000 working poor families and homeless adults annually in Austin and North Texas. He brings over 25 years of experience in program development, nonprofit administration and fundraising, the last 18 with Foundation Communities. Huerta is a member of the board of directors of RAISE Texas and serves on the advisory committee for the Humanities Institute at the University of Texas. He holds a bachelor’s degree from the University of the Incarnate Word and a master’s degree from UT. He also completed the NeighborWorks Achieving Excellence Program at Harvard University. S. Claiborne “Clay” Johnston has served as the inaugural dean of the Dell Medical School at UT Austin since March 2014. He is also a neurologist, specializing in stroke care and research. Previously, Johnston was associate vice chancellor for research at the University of California, San Francisco. He also directed the Clinical and Translational Science Institute, overseeing the planning, development and implementation of a $112 million, five-year National Institutes of Health grant award, and founded the UCSF Center for Healthcare Value. During his 20 years at UCSF, he rose to professor of neurology and epidemiology and director of the stroke service. Johnston has authored more than 300 publications in scientific journals and has won several national awards for his research and teaching. In particular, he has published extensively on the prevention and treatment of stroke and transient ischemic attack. He has led several large cohort studies of cerebrovascular disease and three international multicenter randomized trials, two of which are ongoing. Johnston is a graduate of Amherst College and Harvard Medical School. He also received a PhD in epidemiology from the University of California, Berkeley, and was a resident in neurology at UCSF, where he later trained in vascular neurology. Roy C. Lopez leads the Dallas Fed’s community development function, promoting economic growth and financial stability for low- and moderate-income communities through resources and innovative ideas that connect them to opportunities in the mainstream economy. 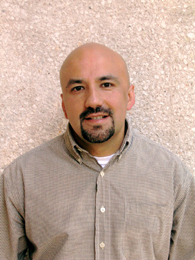 Lopez returned to the Dallas Fed after working as a community development banker for Capital One Bank. He managed the bank’s external relationships, community development philanthropy and high-impact Community Reinvestment Act programs in the Dallas–Fort Worth market. 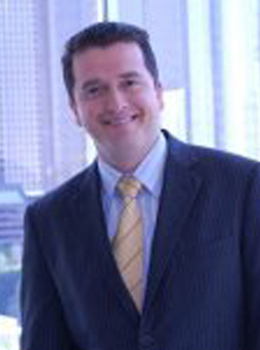 He originally joined the Dallas Fed in 2005 in the Community Development Department. His responsibilities included strategic planning, management and implementation of outreach programs across the Eleventh Federal Reserve District. Annie Lord supports a comprehensive array of services as chief program officer at Dallas nonprofit CitySquare. As the daughter of a Cuban refugee, she developed a drive at an early age to help families become more economically mobile. Early in her career, she was development director at the Latino Economic Development Corporation, where she helped low-income Latinos in Washington, D.C., improve their financial capability, purchase their first homes, and launch and grow businesses. Lord later led the South Florida Community Development Coalition as executive director, building the capacity of nonprofit affordable-housing developers and economic development organizations. She moved to Dallas and became a grant maker to community organizations and community development officer in North Texas for Citibank. Lord earned a BA in Latin American studies from Harvard University and a master’s in public policy from Harvard’s Kennedy School. Bert Lumbreras, assistant city manager for the City of Austin, has 35 years of experience as a city manager or an assistant city manager in six Texas communities. He is active in professional organizations that include the International City/County Management Association (ICMA), where he is a credentialed manager and serves as the ICMA Mountain Plains vice president, and the Texas City Management Association, where he served as vice president in 2010–11 and president in 2012–13. Lumbreras is a member of the International Hispanic Network, Texas Municipal League and numerous community and civic organizations. He has a bachelor’s degree in political science from Southwest Texas State University. Walter Moreau is executive director of Foundation Communities in Austin, which works in Texas to create affordable housing to help families succeed. During his 25-year career, he has secured subsidy financing of more than $200 million to create more than 3,500 units of nonprofit-owned affordable housing. Foundation Communities operates 10 on-site learning centers and five supportive housing communities for the homeless. The organization is the largest private producer of solar power in Central Texas. Foundation Communities also offers on-site health programs to its 5,000 residents. Under Moreau’s leadership, the organization developed Community Tax Centers and Insure Central Texas sites, which serve over 25,000 families each year. Moreau received the James A. Johnson Fannie Mae Fellowship in 2007 and the Texas Houser Award in 2004. He holds a master’s degree in public affairs from the University of Texas at Austin. 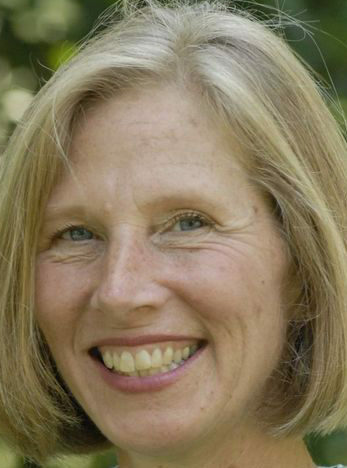 Laura Morrison served two terms as an at-large Austin city council member, from 2008 to 2015. In that role, she was a champion of quality-of-life issues such as affordable housing and public health. Morrison serves on the board of directors of Housing Works and the Ending Community Homelessness Coalition and as a member of the Austin Film Society’s community media advisory committee. Prior to her public service, she worked in the fields of engineering and regulatory compliance. Morrison holds a master’s degree in mathematics from the University of California, San Diego; a bachelor’s in mathematics from the University of California, Berkeley; and a graduate certificate in community preparedness and disaster management from the School of Public Health at the University of North Carolina, Chapel Hill. Kim Nettleton serves as a product director with UnitedHealthcare Community & State in Houston. Community & State focuses on serving people with Medicaid and those with both Medicare and Medicaid. Nettleton has been in a variety of roles with UnitedHealthcare, including health plan operations, health plan marketing and Medicare regional director. Her current focus on the national product team is the impact of social determinants on health care. Nettleton has been involved with implementing new employment assistance and supported employment benefits, working with affordable housing, supportive housing and homeless housing services. Sarah Norman joined NeighborWorks in Washington, D.C., in 2014 as director of healthy homes and communities in 2014. This newly created position recognizes the important role homes and neighborhoods play in determining health outcomes and the focus NeighborWorks places on promoting health through community development. Norman came to NeighborWorks from the Centers for Medicare and Medicaid Services (CMS), where she directed a $250 million grant program to enhance transparency around medical and insurance prices. Previously, she served as senior advisor to the director of oversight at the CMS Center for Consumer Information and Insurance Oversight. Norman also served as senior health and housing policy advisor to New York Rep. Louise M. Slaughter and worked in public health in Egypt, Zambia and Ethiopia. Norman completed her education at Harvard University, earning a master’s degree in public policy from the Kennedy School of Government and a BA from Harvard College. Vice President and Chief Lending Officer, Enterprise Community Loan Fund, Enterprise Community Partners Inc.
Noni Ramos is vice president and chief lending officer for the Enterprise Community Loan Fund. In this role, she is part of a team that oversees the structuring and deployment of capital resources through Enterprise’s community development financial institution (CDFI) and community development entity (CDE). Her responsibilities include new program and product development and financing innovation. Ramos manages the CDFI’s lending team and the new markets tax credit (NMTC) team across the country in developing and delivering financing solutions for affordable housing, community health centers, charter schools and other community development needs. She works across Enterprise subsidiaries and affiliates to develop and launch new financial products and initiatives in program areas such as equitable transit-oriented development, energy efficiency and health and housing. Ramos joined San Francisco-based Enterprise in 2008 with more than 15 years of progressively responsible experience in the CDFI sector. She held various positions during her 14-year tenure at the Low Income Investment Fund, including chief credit officer, national child care director and loan officer. She began her professional career with Citibank. Ramos received a bachelor’s degree from the Walter Haas School of Business at the University of California, Berkeley, and a master’s in public administration from California State University, East Bay. 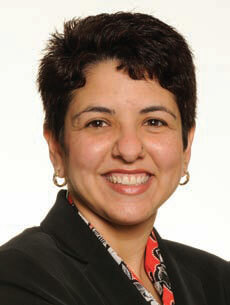 She is a member of the board of directors of the Mercy Loan Fund and the YWCA of Berkeley/Oakland. Tierney is a general internist and medical informaticist who chairs the department of population health in the Dell Medical School at UT Austin. The department is leading the medical school’s mission to help Austin become a model healthy city. The department heads the school’s teaching focus on population health. Its areas of focus include community engagement and public health, primary care and value-based health, occupational health, global health, health information and data analytic sciences and community-based and health-services research. Tierney is a primary care physician, a member of the National Academy of Medicine and a Master of the American College of Physicians. Prior to joining Dell Medical School, he was president and CEO of the Regenstrief Institute in Indianapolis and Sam Regenstrief Professor of Health Services Research at the Indiana University School of Medicine. While at Indiana University, he also served as associate dean for clinical effectiveness research and chief of internal medicine for Eskenazi Health, the nation’s fourth-largest safety net health system. Mark J. Williams, who sits on the board of trustees for Austin Community College (ACC), is an advocate for the regional role ACC plays in providing students with workforce development and educational and job-training opportunities and for the importance of partnerships between ACC and other educational institutions and stakeholders. Williams has been involved in a variety of education, civic and nonprofit activities. He serves in various officer and/or committee roles for the Ann Richards School Foundation, Austin Partners in Education, Austin Ed Fund, Capital Area Food Bank and Communities in Schools, among others. Williams also serves on leadership committees for the Texas Education Grantmakers Advocacy Consortium and University of Texas recreational sports division and on the community advisory council for Legacy of Giving. Williams was the District 5 representative on the Austin Independent School Board from 2004 to 2012 and served as board president from 2006 to 2012. He also served as a past board member and in various officer and/or committee roles for a number of community and advocacy groups. He was a member of the 2003–04 Leadership Austin class. He received his BBA from the University of Texas at Austin.